From skis and boots to gloves and goggles, choosing the right ski gear can be a difficult and a costly choice, especially for beginner skiers. Surrounded by three-year-olds swish-swooshing around me with the ease and elegance of seasoned skiers, I was desperately struggling not to fall while my ski instructor was yelling “bend your knees”. By the end of my one-hour ski lesson the initial feeling of fear and frustration was gradually replaced with excitement. I have spent the rest of the afternoon practicing my snowplough turns, admittedly spending more time in the snow than on it. But I loved it! I loved it so much that the next day I went to my local Decathlon store and bought the full gear. So, what do you need as a beginner skier? The first thing to consider is the cost. Until I was ready to become a regular skier and knew exactly what I needed, I opted for second-hand skis and most of the rest of the equipment I bought was entry-level. 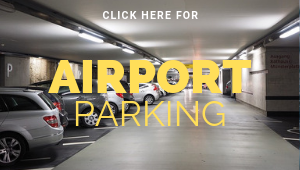 The second thing to consider is where you will be skiing. Living on the French Riviera, I was most likely to be doing Alpine skiing (i.e. downhill skiing, as opposed to Nordic, or cross-country skiing) at altitudes between 1,500-2,000 meters with relatively mild temperatures between -5°C and 5°C. My initial idea was to hire skis for the first few ski outings. But the last time I rented a pair of skis and boots from Skiset in Auron I paid €30 for the day. So when I saw a second-hand pair of skis at €70 I thought I would recuperate my investment by the end of the season. The skis I bought were Atomic SX 9.2 (this model has been discontinued). I made an error as SX 9.2 are high performance skis, designed for speed and experienced skiers, not for comfort and learning. I guess I will appreciate them in the long term but in retrospect I should have got something more suitable for progressive learning. 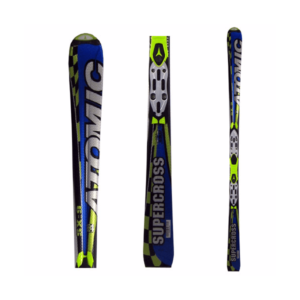 I asked Atomic which skis they would recommend for beginner skiers and they advised the Vantage X range, with the cheapest model being Atomic Vantage X 75 C at £385. 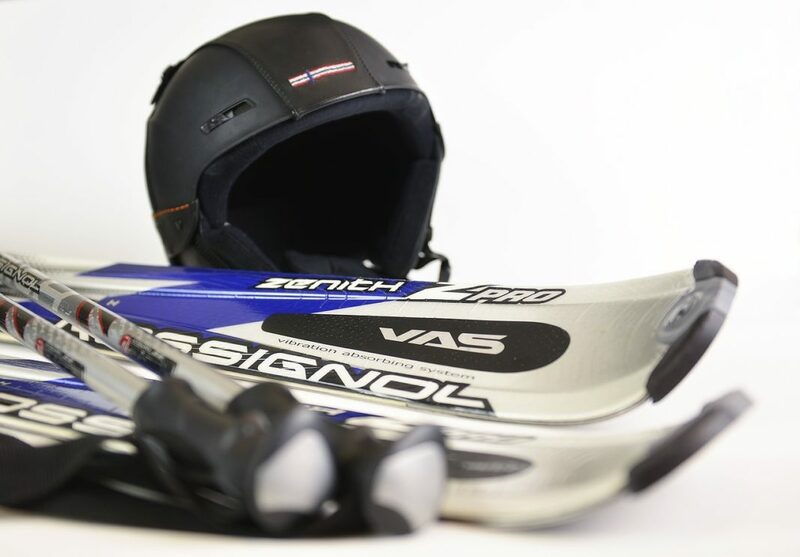 If you don’t want to spend as much for an advanced pair of skis, you may want to consider Wed’ze Archtec Boost 300 at £105 (see video below). Skis come in different lengths and widths. Shorter skis are more manoeuvrable at slower speeds hence better for beginner skiers. But ideally you should be aiming for the ski length which is somewhere between your chin and the tip of your nose. Wider skis have more of an area in contact with snow hence are more stable. They may require more effort when turning but, as a beginner skier, you will find this to be an advantage. Other things to take into account are rocker/camber and flex, but these are best discussed directly with the sales professional in your ski shop. As a general rule, look for skis with some tip and tail rocker (basically, they curve at both ends) and have a medium to medium/soft flex. 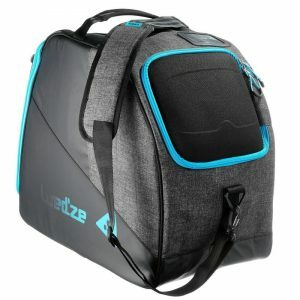 I also bought the entry-level ski bag (£8) to protect and carry the skis, as well as a basic pair of light-weight poles (£10) with adjustable wrist strap, both from Decathlon. There are many technical aspects to consider when choosing your boots, such as rigidity for support, elasticity for reducing muscular effort when changing direction, flex, etc. But as a beginner skier I didn’t bother too much with the terminology and I concentrated on two things: comfort and price. 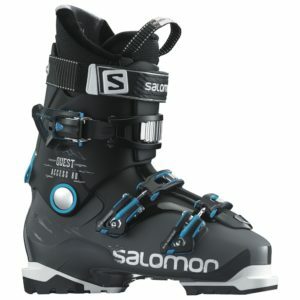 I started off by trying out the cheapest boot on the shelf and then picked the next model up, Salomon Quest Access 80. The difference in price between the two was only £30 but the Salomon boots felt so much more comfortable. It was very easy to put them on thanks to the slide-in liner and equally as easy to fasten thanks to three buckles which were simple to adjust. I made the typical beginner error: when I put the boots on, my toes were touching the front of the boot and I thought the boots were too small. Actually, this is normal, since when you ski your knees bend and your foot moves backwards. The “80” in Salomon Quest Access 80 refers to the flex rating. The higher the flex, the more rigid the boot is. Beginners will appreciate a softer, more comfortable boot while advanced skiers prefer a higher flex meaning more of the energy is transferred directly to the bindings and the skis. An ideal flex for beginners is between 60 and 80, so Quest 80 are edging between the beginner/intermediate level. I bought my boots at Decathlon for £150. I also bought the very basic boots bag (£8) and a pair of warm ski socks (£4), also from Decathlon. UPDATE: I have since upgraded the boots bag to SP TRVLCOVBOOT 900 (£35). Although four times more expensive than the basic bag, it is worth it! Firstly, the padded, adjustable shoulder straps make all the difference – carrying your boots bag on your shoulders means you have two hands free to carry the skis, poles, etc. Secondly, it contains special pockets for the helmet, gloves and mask, meaning all the accessories are together and are easy to carry. The pocket for storing the helmet is reinforced giving it extra protection. And lastly, the boots compartment has large netting at the top allowing for the humidity to evaporate, keeping your boots fresh and dry. By the time I got to choosing the accessories, I have already spent all of my budget on the skis and boots. So I just bought the most basic, cheapest, Wed’ze (Decathlon’s own brand) accessories. Apart from the gloves, I was actually pleasantly surprised with the quality and comfort of the helmet and the goggles, considering their low price. I went for the most basic model at £4 – Wed’ze Access Adult Ski Gloves. Considering the relatively mild temperature of the lower Alpine ski resorts (around 0°C), these gloves seemed ideal. However, when I first put them on my fingers were freezing and it wasn’t until about 30 minutes later, when my whole body warmed up due to physical exercise that the gloves felt comfortable. They are also water repellent but not water resistant so constantly falling and finding myself with hands in the snow eventually meant that they were wet inside as well as outside. Also, the repellent wears off after 2-3 washes and I will need to buy a special product to replace the coating. Considering warm fingers throughout the day add to the overall comfort of skiing, with hindsight I should have invested in a more advanced pair of gloves, with a waterproof Gore-Tex layer and better insulation – e.g. Reusch Modus GTX. Another downside of cheap gloves is the lack of wrist cinches, meaning they are relatively loose around the wrist and snow can get in when you fall. 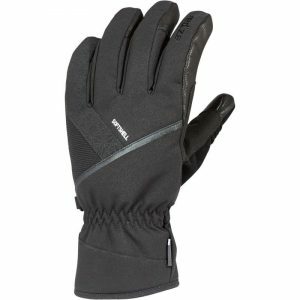 UPDATE: I am now using Wed’Ze Ski-P GL 500 gloves (£25) and they are so much better than the basic model! 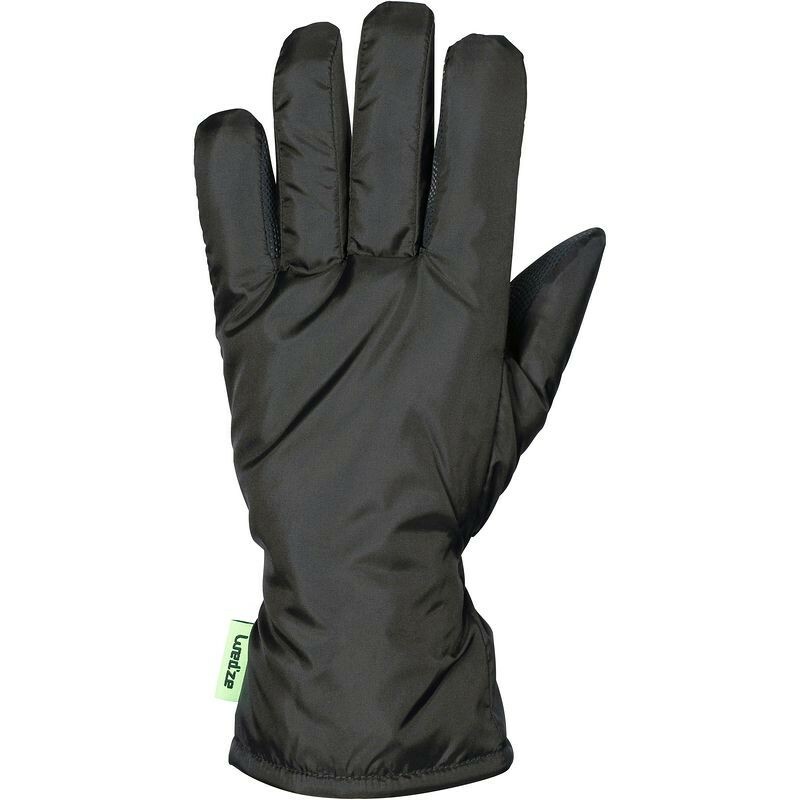 Not only are they warmer (150 instead of 100 g/m² wadding) but in addition to being water-repellent they also have a thin film of polymer placed between the lining and the part of the glove which is in contact with the outside making the glove fully waterproof. 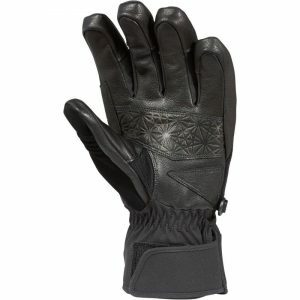 Velco straps around the wrist help make them tight around the wrists so the snow won’t get in. Wrist straps on each glove make it easier to pull the other glove on by just pulling the strap. 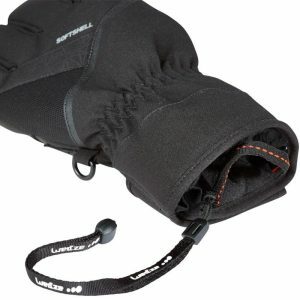 Another great addition is the elastic strap which goes around your wrist stopping the gloves from falling, especially when you are on a ski lift. There is a metal hook to connect the two gloves together when not wearing them so you can hang them together. 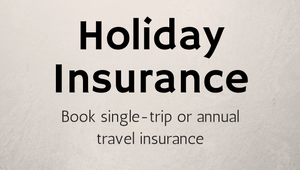 On my first ski trip I noticed that the vast majority of adults did not wear a helmet. For me wearing a helmet is a no-brainer, not just as a beginner but in general. Not only am I guaranteed to fall but I am unlikely to know how to control my fall and may land on my head. 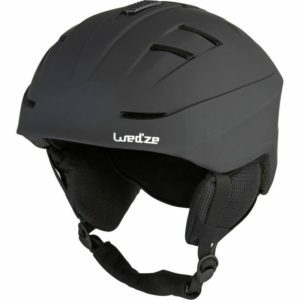 For an entry-level helmet, at £20 the Wed’ze H300 Adult Ski Helmet was perfect! It was light, hard on the outside and soft, comfortable and warm on the inside and it had good ventilation with 9 fixed and 4 adjustable air vents. The inner liner is removable and machine washable. In terms of accessories, I appreciated the goggle retainer clip at the back of the helmet but would have liked the action camera mount so I could fix my TomTom Bandit camera. Just like with regular sunglasses, the recent advancement in technology means there is a large choice of goggles, not just in terms of shape and colour but comfort and technical specifications. 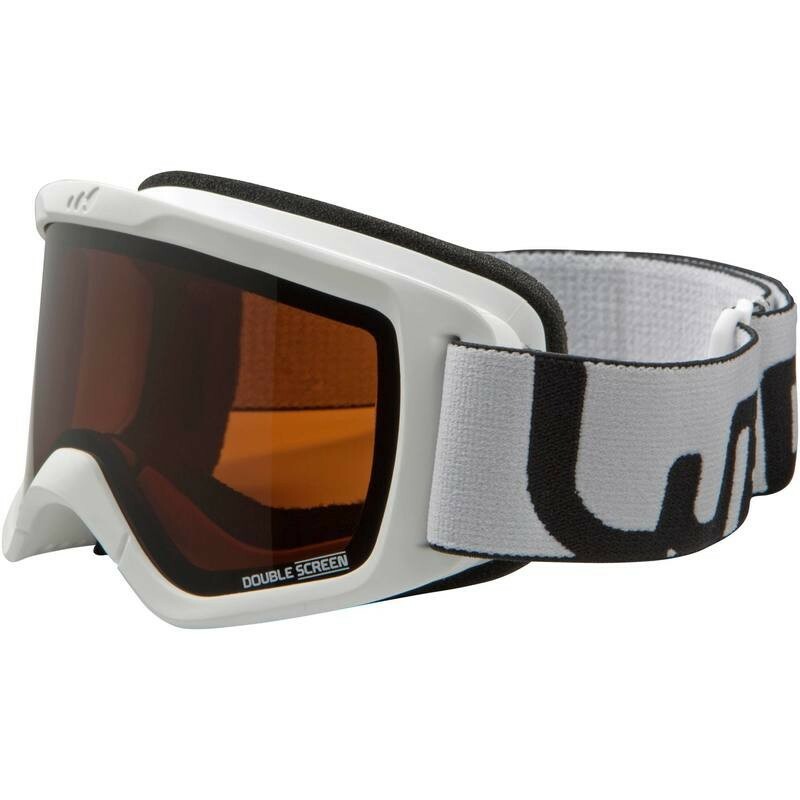 Not knowing what I should be looking for in technical terms, I bought the cheapest model, Wed’ze Snow 300 Ski All Weather Goggles at £13. While not the most advanced goggles, they turned out to be adequate for a beginner skier like me. Soft foam made them comfortable to wear, brown, anti-UV glass was efficient in protecting against sunshine and the glow reflecting off the snow, and double lens with ventilated frame prevented them from fogging on the inside. TIP: If you are not short on budget, for something more stylish you may want to consider an integrated helmet and goggles combo, such as Wed’Ze H-RC 550 (£70). Impermeability. Look for waterproof trousers with a coating of at least 5000mm (ideally, 10000mm) and sealed main seams. Warmth. Opt for a fleece inner lining with at least 60 grams of synthetic insulation per every square metre of fabric. Breathability. Make sure your trousers have sufficient ventilation (zips or mesh) to allow you to release excess transpiration after a few hours of exercise, especially as you will keep your trousers on as you stop for lunch. Pockets. 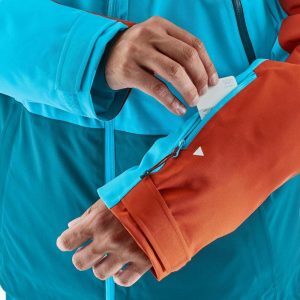 This is not essential as your jacket will probably have all the pockets you need but I found it useful to have a couple of zip-protected pockets on my trousers for things like my phone and nose tissue. Comfort. The trousers should be both elastic and adjustable around the waist to allow for free movement but tight enough not to fall. 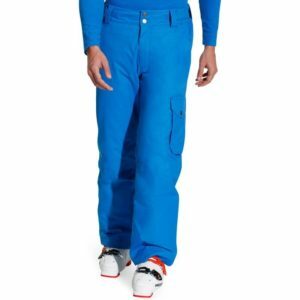 As a beginner skier you will want trousers that are neither too tight nor too baggy. Walk around the ski shop a bit and do a few squats to see if you feel comfortable. The model I bought is Wed’ze SNB PA 100 Ski Trousers at £40 and am very happy with them. The Primark jacket does not allow for transpiration to evaporate. The zips are not designed for a high exertion activity so they often unzip in a middle of a descent. There is no elastic lining around the waist meaning that when I fall the snow makes its way inside. UPDATE: I am now wearing Wed’Ze Free 700 jacket (currently reduced from £120 to £90), which is perfect in every way! 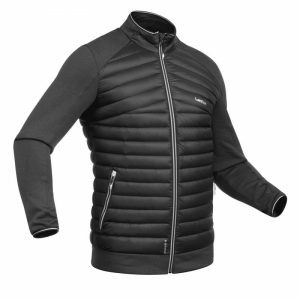 The Free 700 jacket has a 8000mm membrane with taped seams making it fully waterproof. It is also very warm with 100 g/m² of wadding on the body and 60 g/m² on the sleeves. Two ventilation zips under each arm allow for transpiration to evaporate when you stop for lunch. There is also a snow skirt to prevent the snow from getting inside if you fall. 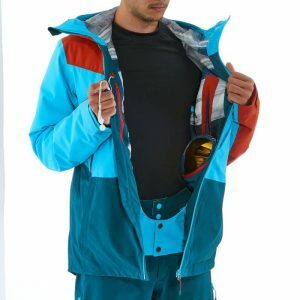 The jacket has 6 secure pockets, including the ski pass pocket and a pocket with an inbuilt soft cloth to clean the mask. 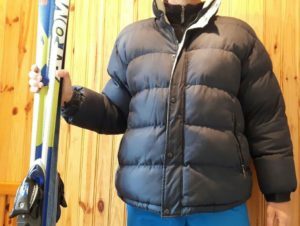 In addition to the ski jacket you will need two extra layers: the base layer which pulls moisture away from the body and regulates core temperature; and the mid layer which is built for insulation. When I started skiing I used a cotton long-sleeve T-shirt as my base-layer which is far from ideal as cotton retains moisture. If you are concerned with body odours and want something which is both lightweight and effective in regulating body temperature, you should consider merino wool layers. 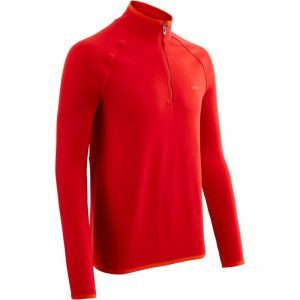 The downside of merino is that it is expensive, so an alternative may be polyester layers. I am now wearing Decathlon’s Wed’Ze FreshWarm 1/2 Zip Undergarment (£15), which is soft and warm on the skin and has a breathable yoke at the back to allow for the transpiration to evacuate. For the mid-layer I initially used the fleece I already had in my closet but I since got Wed’Ze SFR Activ 900 jacket (£40). It is filled with 85% down/15% feathers making it light and warm at the same time. The jacket also has two zipped pockets and a large inner pocket. 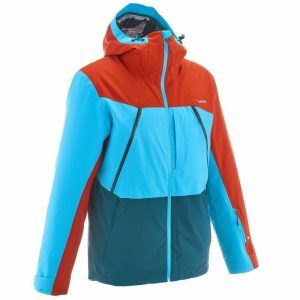 Great thing about it is that it is also stylish enough to be used off piste as a light spring/autumn jacket or when you need extra warmth under your winter coat. I used the TomTom Adventurer sports watch to monitor progress as I was practicing my ski runs. This is a very clever piece of technology automatically tracking heart rate, speed, gradient, descent and GPS track for each run. The watch gave me instant report after each run, and at the end of the day, when I got home, I got an overview of my entire day with full statistics.